We are almost to the end of January; and what a January it has been! We’ve had so much fun creating recipes and crafts for Tastefully Frugal as well as enjoying the beautiful weather we’ve been blessed with. And I’ve gotten so much inspiration from all the projects you share. This has been my first full month hosting Talented Tuesday and every week I have such a hard time narrowing down my features. 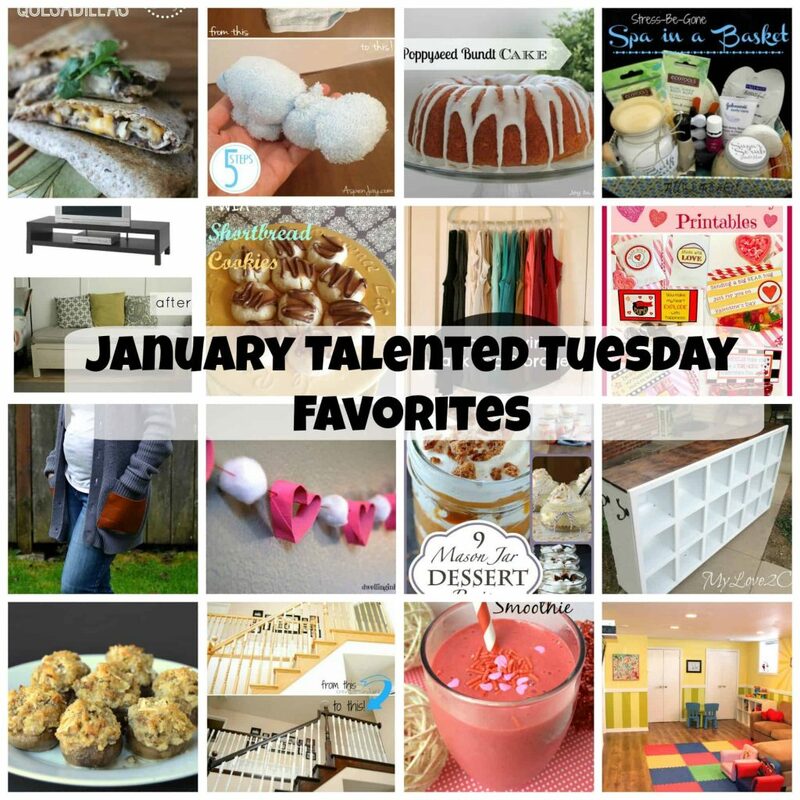 Today I wanted to say thank you to you for helping us grow Talented Tuesday to what it is today and also share more of my favorite projects from January. Creations by Kara shared this amazing Staircase Makeover with us and I absolute love it! Now to talk the hubby into doing it. 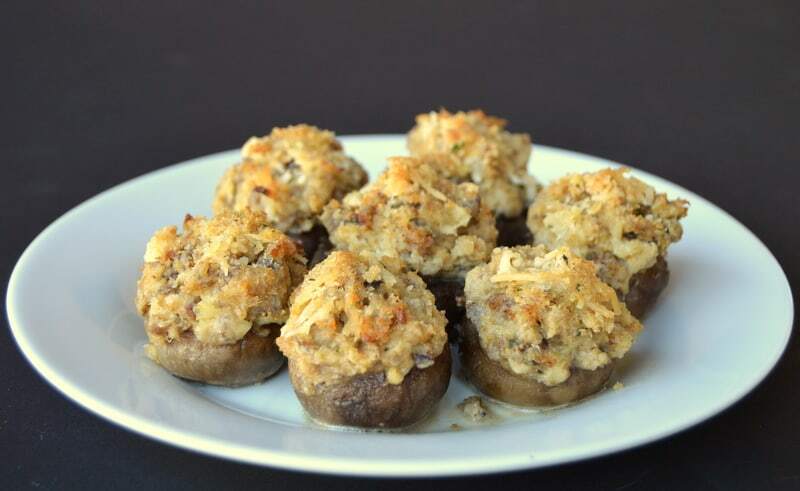 Amy over at HomeRemedies created these delicious looking Stuffed Mushrooms with Cream Cheese and Sausage. 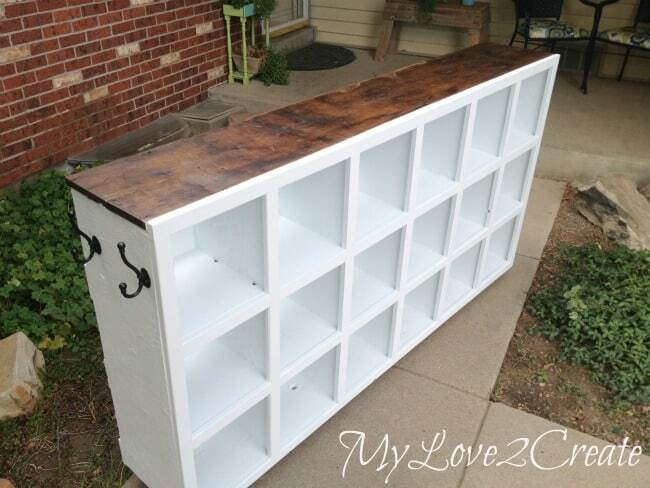 My Love 2 Create took a drab old cubby and turned it into this beauty. 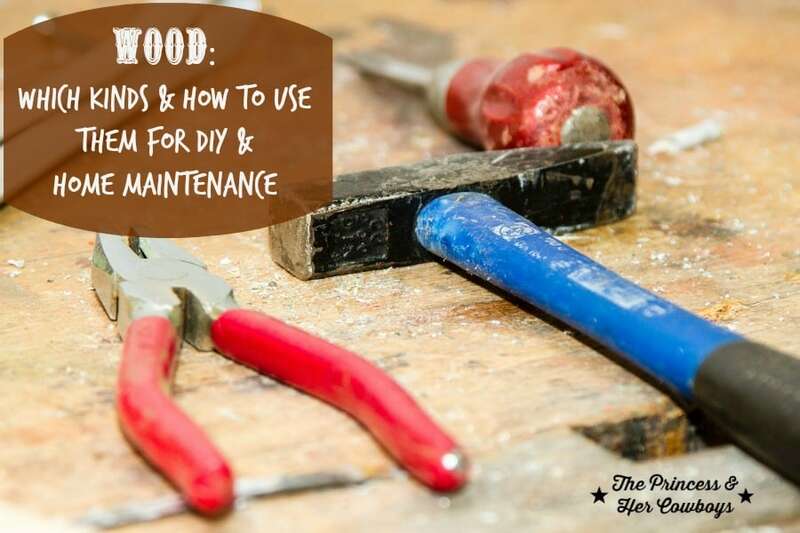 Britney of The Princess and Her Cowboys taught us which woods are best for DIY projects. I installed more than one of the Top 6 WordPress Plugins that Stephanie of Mommyzoid shared. 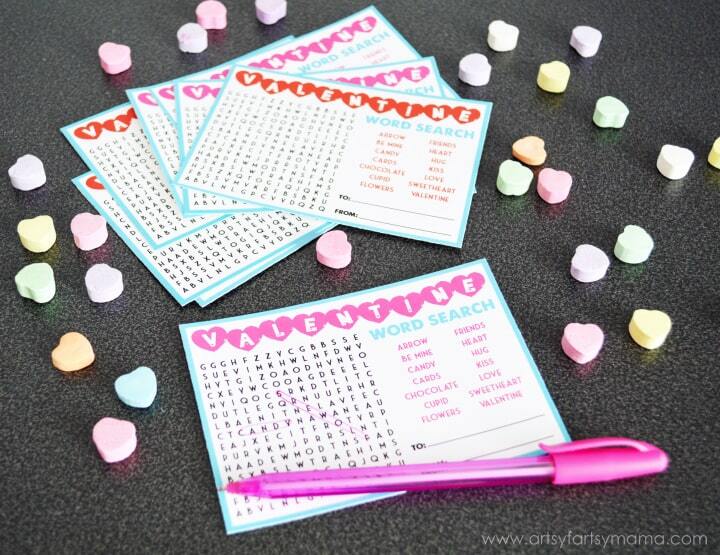 I love these Valentine’s Word Searches from Lindsay over at Artsy Fartsy Mama. 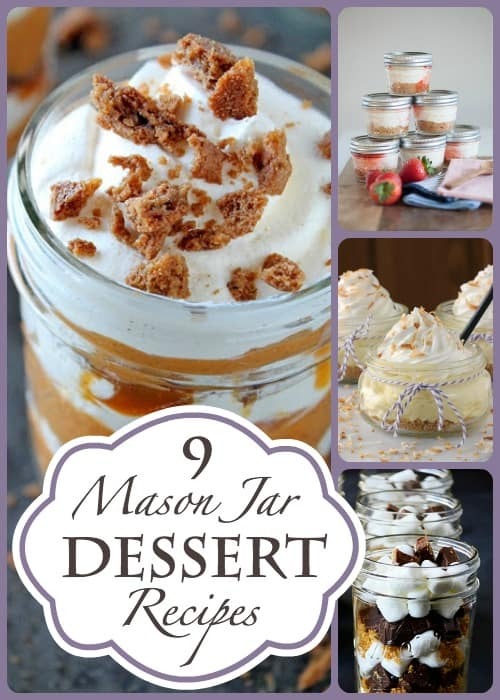 I love desserts in a jar and all of the 9 Incredible Mason Jar Recipes that Dreaming of Leaving shared look amazing! I have an old kitchen map that could definitely use a makeover just like this one from Amanda at Dwelling in Happiness. 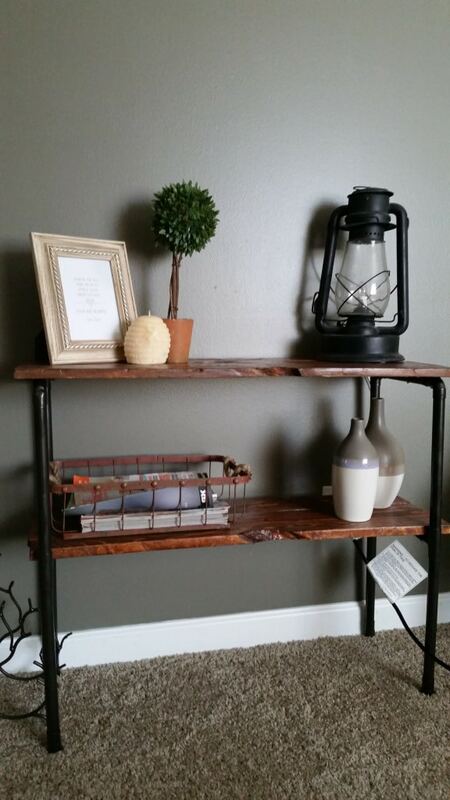 This Pallet and Pipe Side Table from My Own Home is gorgeous and looks like something straight out of Restoration Hardware! 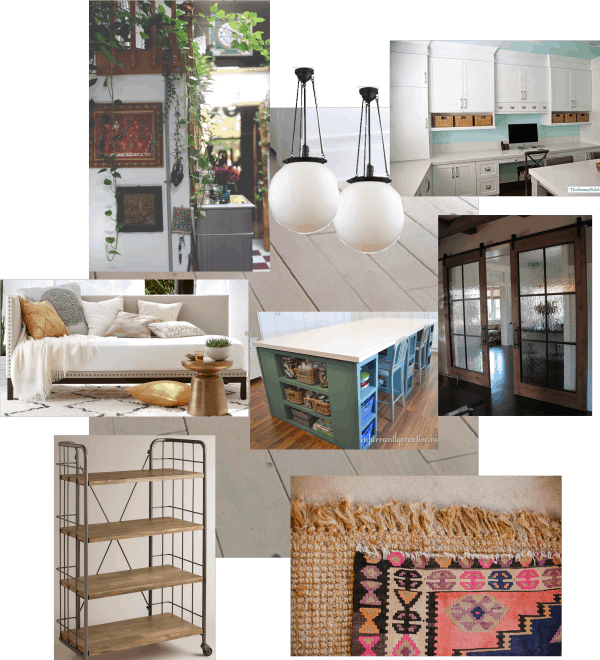 Emily from Table and Hearth has totally inspired me with her Dream Loft Workshop. 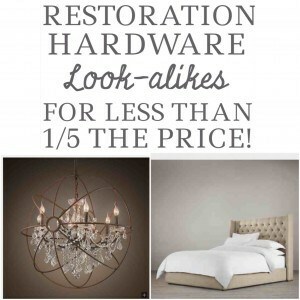 I love Restoration Hardware but can’t justify spending that kind of money for things. The girls at Pretty Providence compiled an amazing list of RH look alikes for 1/5 the price. 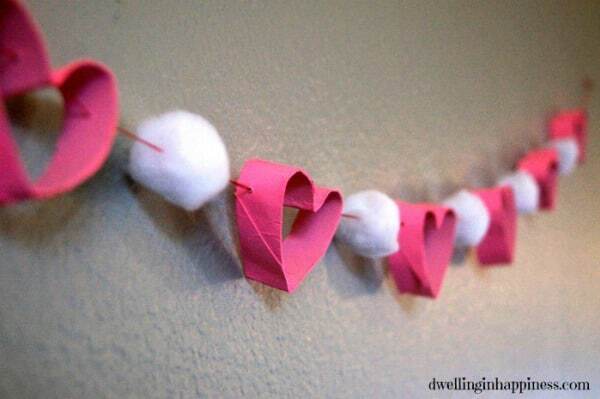 Isn’t this heart garland from Dwelling in Happiness the cutest?! You’d never guess they were made out of toilet paper rolls! 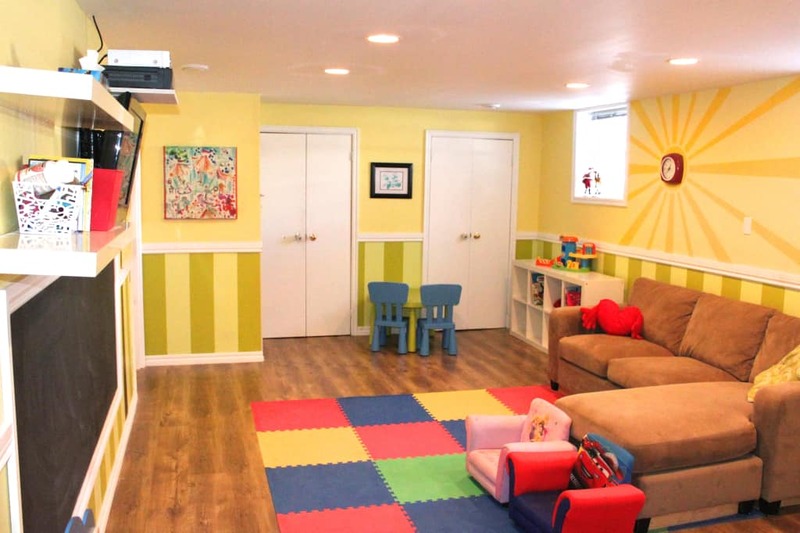 Christine from Amidst The Chaos turned their game room into this gorgeous playroom. My boys would love to play in here! 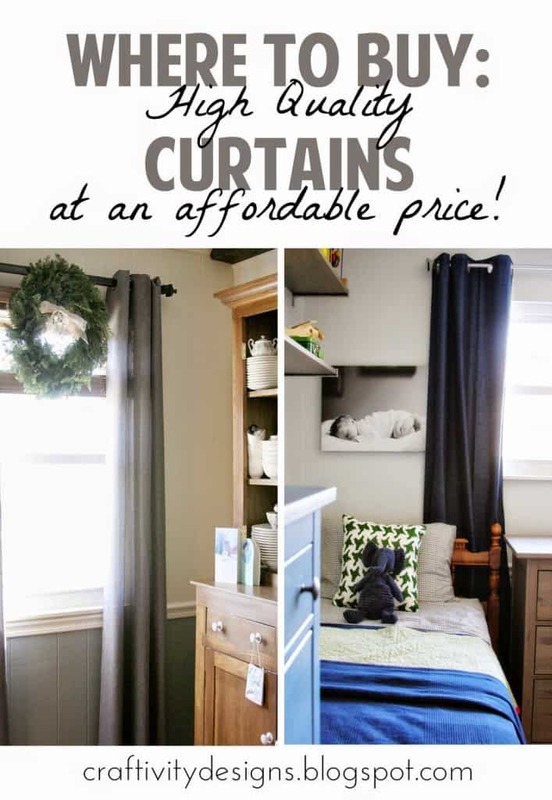 Craftivity Designs shared with us Where To Buy Affordable, Quality Curtains and I found the perfect pair for our master bedroom. 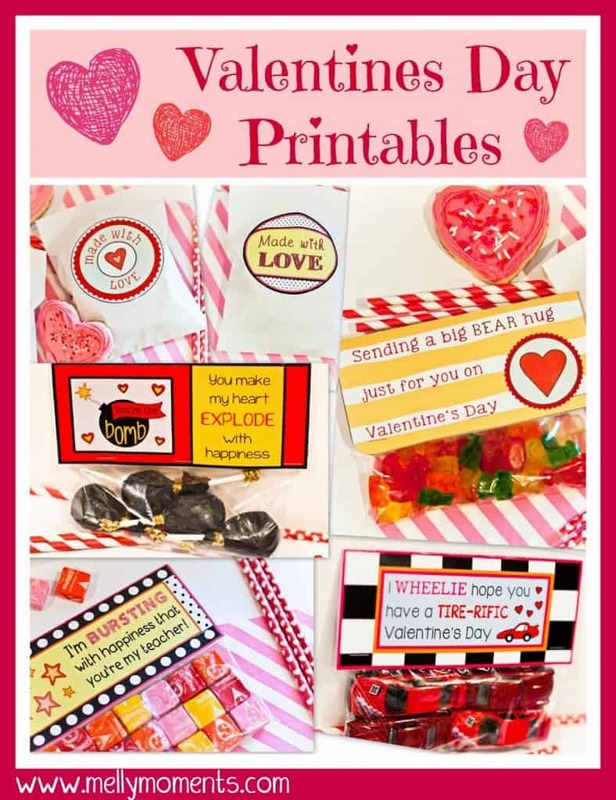 I just love these cute Valentine Printables that Mel of Melly Moments shared. 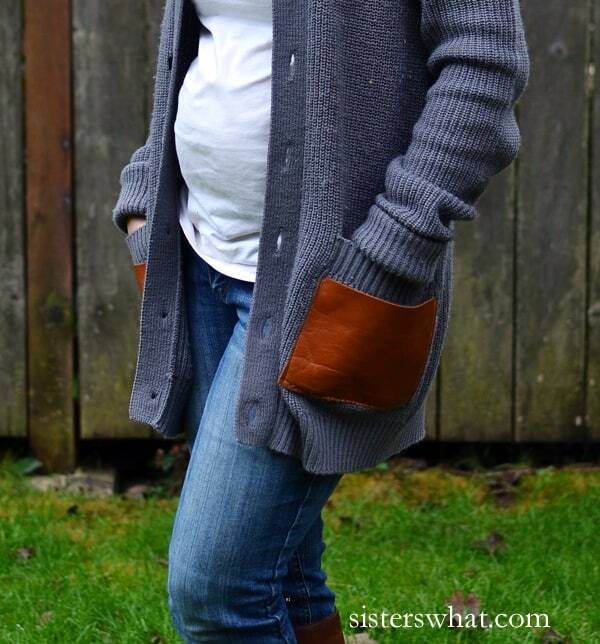 Sisters, What turned an old men’s sweater into this darling sweater with leather pockets. 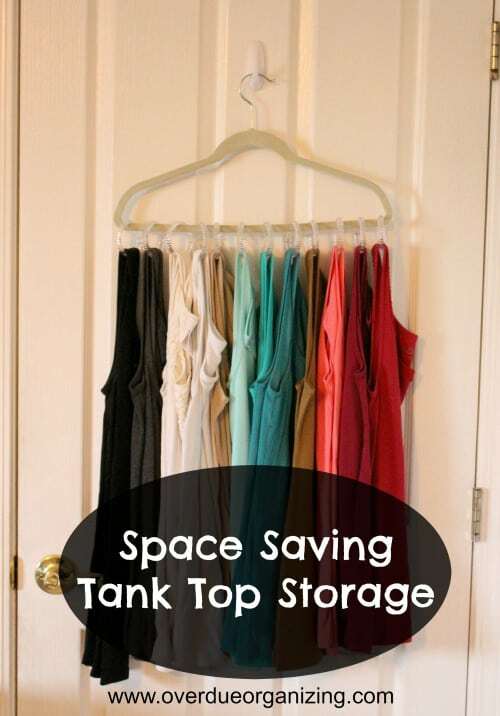 Brittany from Over Due Organizing freed up so much space in my closet with this Tank Top Storage. Since Twix are one of my favorite candy bars I am definitely trying these Shortbread Twix Cookies from the Real Housewives of Riverton. 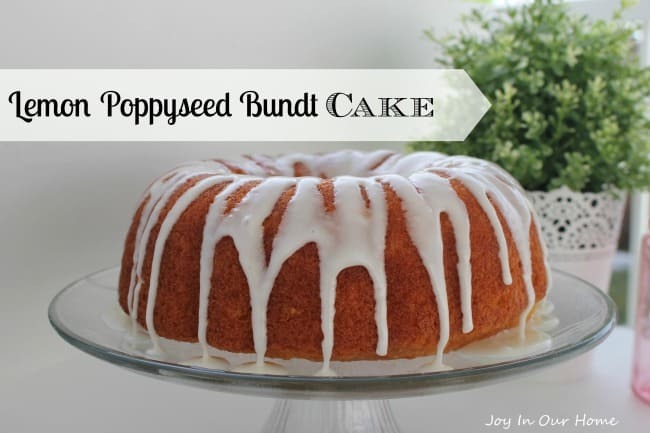 This Lemon Poppy Seed Bundt Cake from Joy over at Joy In Our Home has my mouth watering! 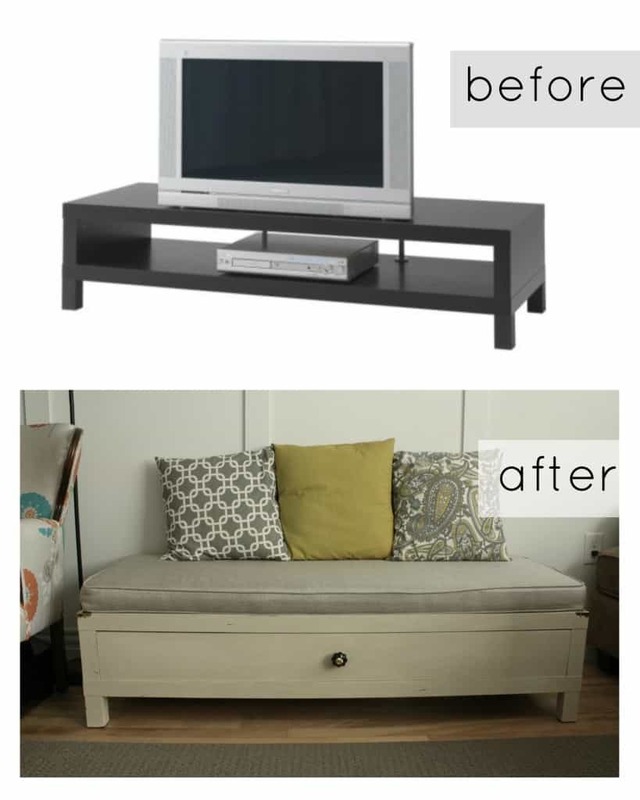 Who knew you could turn an Ikea TV table into this beautiful bench using Annie Sloan Chalk Paint? Mommyzoid, that’s who! 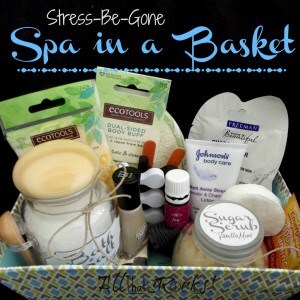 I would love to give (or receive) this Spa In A Basket Gift from Jamie of All That Srocks. When we went on our cruise I loved coming back to our room to find the animals made out of bath towels. 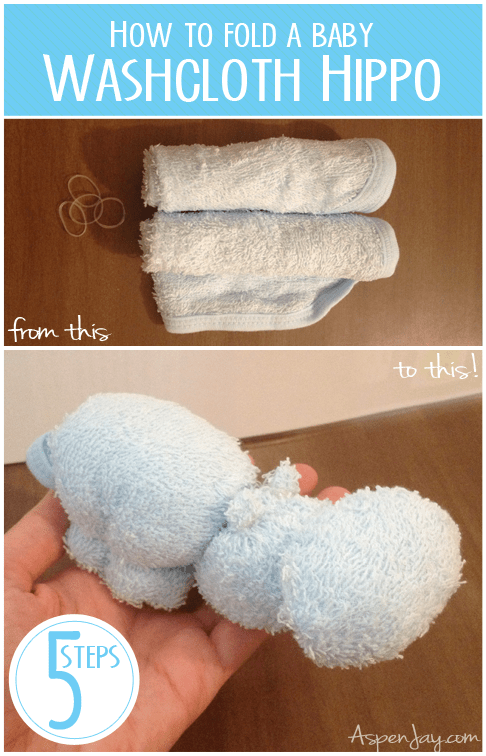 Now I can make my own Washcloth Hippo thanks to AspenJay. 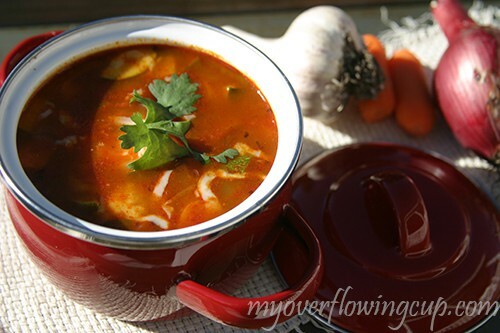 Even though it feels like spring, I could still go for a bowl of this Enchilada Soup from Heather of My Overflowing Cup. 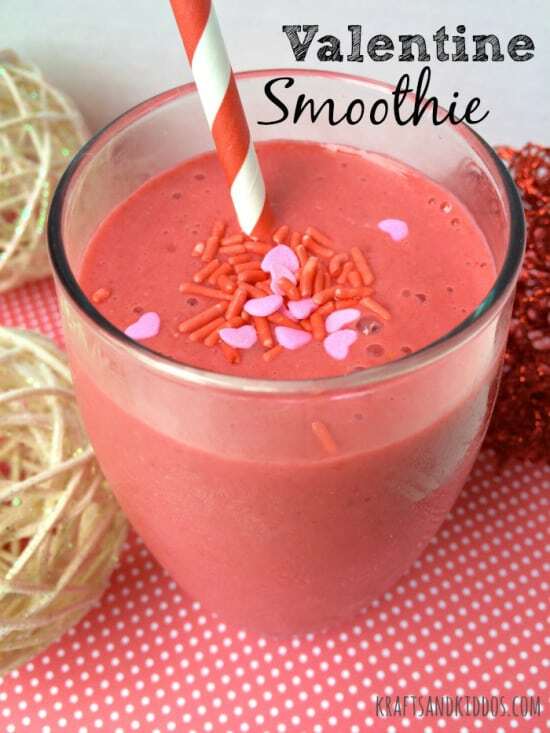 I love all things berry, including this Raspberry Valentine Smoothie from Krafts and Kiddos. 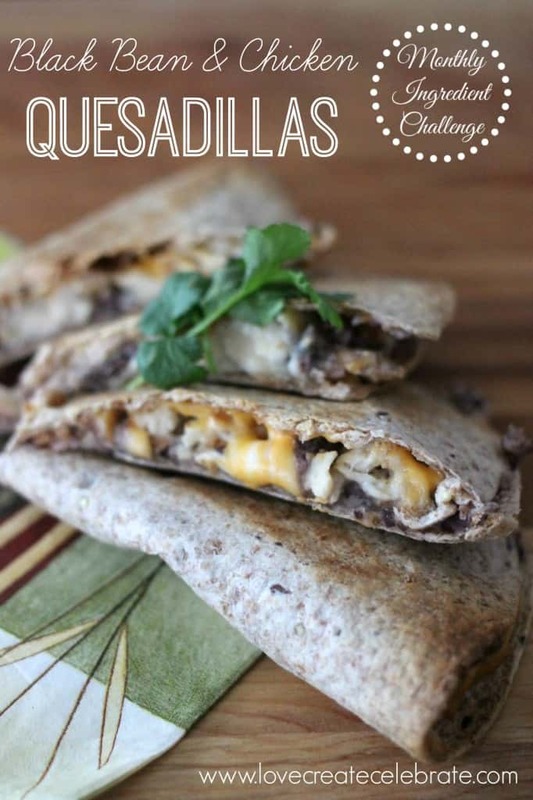 I’ve added these Black Bean Chicken Quesadillas from Love Create Celebrate to our lunch meal plans for the next few weeks. They look so good! I hope you found just as much inspiration as I did this month. I can’t wait to see what you all share with us in February! I’m so glad you joined us as a hostess for our party! Of course Kristina! Thanks for co-hosting and putting it all together! Thanks so much for the awesome feature! Of course! All those desserts look amazing!! So glad you like the washcloth hippo Sydney, thanks for sharing! And thanks for sharing your favorites… a lot of good stuff there to pin! Thanks so much! I can not wait to make these…thanks for the great tutorial. And you were the favorite link at last week’s party! Thank you for sharing my stuffed mushroom recipe, Sydney! I’m so happy you joined our Talented Tuesday crew! Of course Amy! I’m making them for our family party this month…they look so good! You’re awesome and so are all of these! 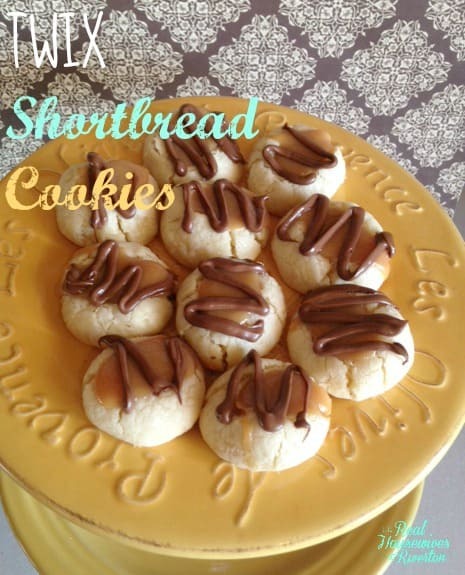 Thanks for featuring our twix cookies!!! Ah thank you so much Jenn! I love those cookies!! Thank you for including our valentine smoothie! Love this time of year!!! Of course! It’s one of our favorite smoothie recipes!! SO much fabulous inspiration, Sydney! 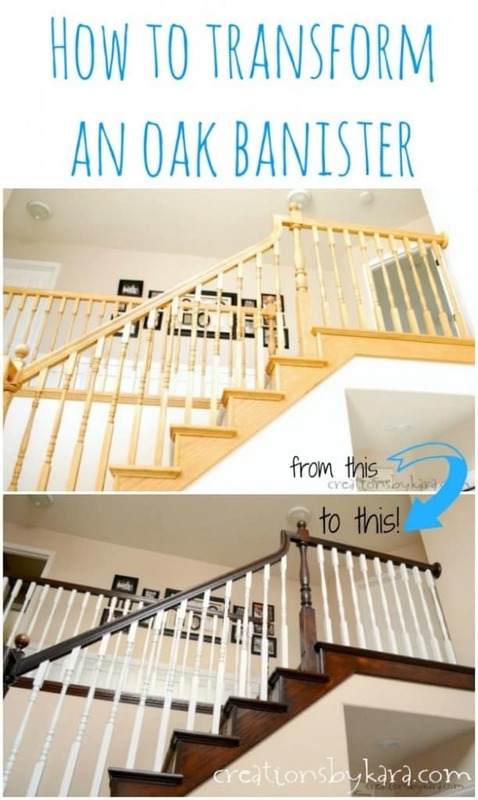 I have to check out that staircase makeover! And thanks SO much for sharing my Lemon Bundt Cake! You’re the best! Thanks so much Kendra! And yes, that would look gorgeous in your living room makeover! Thanks so much for visiting! And I LOVE that cake! SUCH great favorites, Sydney! 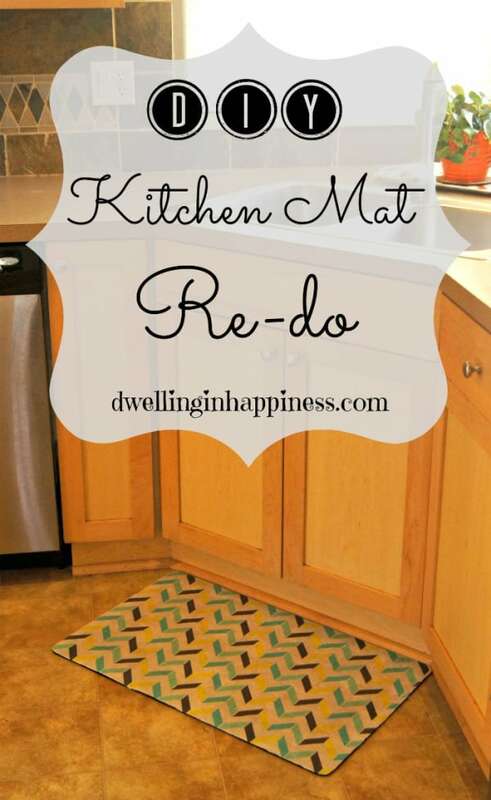 And thank you SO much for including my kitchen mat redo, and my TP heart garland!! 🙂 You’re the sweetest! I love that men’s sweater turned pretty with leather pockets, that’s SO cool! Hope you have a great week! Thank you Amanda!! And thank you for giving me such great inspiration with all your projects!! That sweater is super cute isn’t it? !